MYT will be taking part in NT Connections 2019. If you are aged between 13 and 19 and you fancy joining the group, get in touch! Northampton Active is a free event for children aged 4-11. It takes place in Abington Park (near the Museum) from 12 midday to 4pm on Wednesday August 1st. MYT will be there all day performing fairytales and meeting children. We shall be performing one fairytale on the main stage at 12.45pm. I am pleased to announce that the Masque Youth Theatre Summer School 2019 will take place on Monday August 20th, Tuesday August 21st and Thursday August 23rd as usual at Christ Church in Abington, Northampton. Each day will run from 10am until 3pm. We are so proud of these two who took their first LAMDA exam in January. They performed a monologue each and then together they delivered their duologue. Congratulations, both! Masque Youth Theatre took part for the first time this year in the National Theatre Connections Festival. This is an annual event which allows youth theatres and school casts to rehearse and perform one of ten new one-act plays, written specifically for young people by top playwrights. Groups first perform their chosen play in their home venue and then in a professional theatre, as part of the Festival. MYT chose Dungeness by Chris Thompson. This is a piece about a group of LGBT+ teenagers living in a facility in Dungeness as they try to figure out how to commemorate an atrocity committed against the LGBT+ community on the other side of the world. 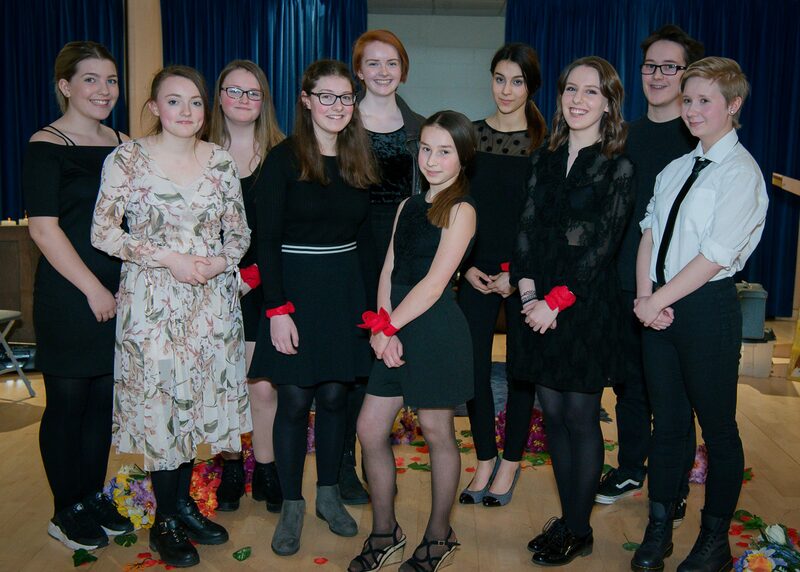 This cast of eight performed it first at Northampton High School in late March and then at the Royal and Derngate on May 6th. We also spent the whole day in May at the Derngate both watching other Connections performances as well as rehearsing for ours and taking part in workshops. It was a terrific day and we are so incredibly proud of our MYT cast who not only delivered a fantastic performance but also were outstanding ambassadors for MYT.